Mix the shredded coconut and the peanut butter. Add the melted coconut oil and the maple syrup, and mix everything together. Press the mixture to the bottom and the sides of the pan. In a separate bowl, combine the coconut cream, the coconut oil and the maple syrup. You don’t have to melt the coconut oil and the coconut cream as long as you whip them very well. Add cocoa or cacao powder and mix everything well. Pour the mixture over the crust and decorate with some shredded coconut. Keep it in the fridge for a few hours before serving. 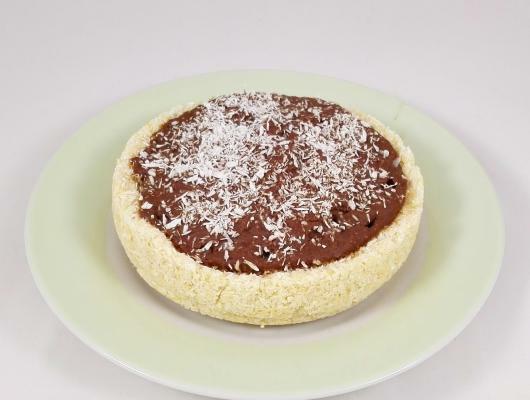 Here’s a delicious and easy-to-make raw vegan tart recipe. This amazing tart is ready in just a few minutes and requires only a few ingredients. It’s a wonderful dessert to share with someone because it’s rich in healthy fat. It’s great as a Christmas, Birthday or Valentine’s Day dessert for two. 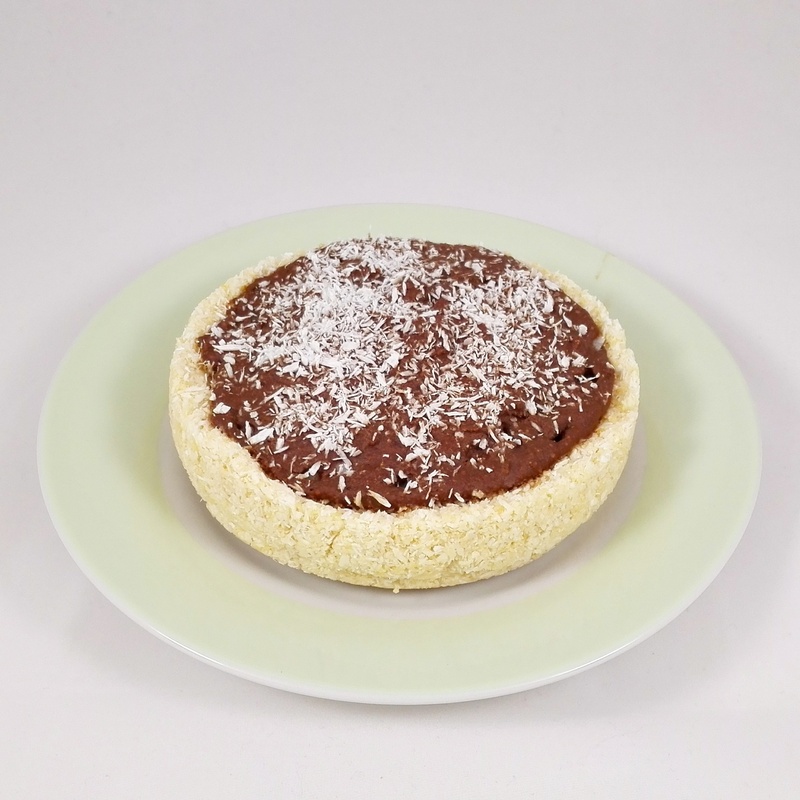 Both the crust and the filling are made of coconut, so if you are like me and love coconut, you’ll fall in love with this dessert too! I added some peanut butter to the crust, but you can use any other ground nut instead or even skip this ingredient and add more coconut oil. With the following ingredients you can make a tart that is 2-3 servings. I used a small cake pan that’s about 10 cm (4 inches), but if you don’t have such pan, you can use 2-3 mini tart pans or even muffin molds. You can double the ingredients if you want to make more servings.